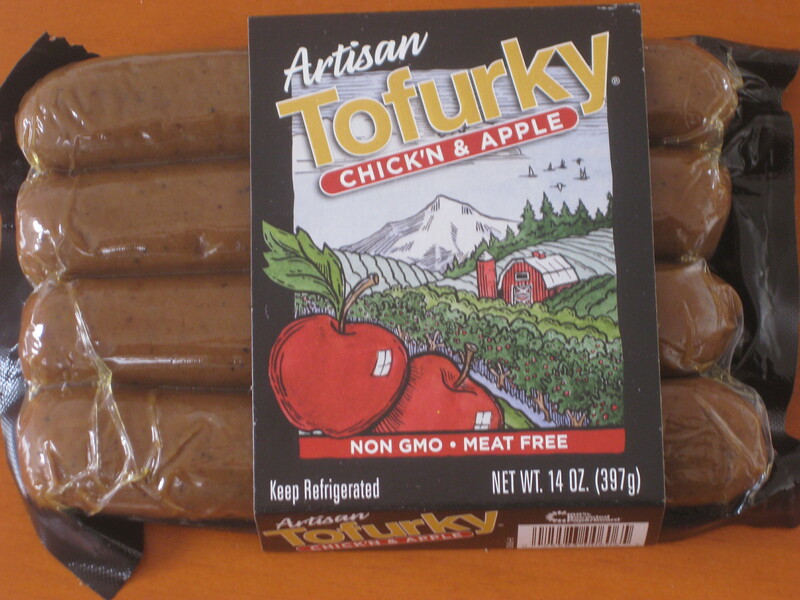 I have never before posted my midweek munchies along with the Vegan MoFo off-season community, simply because I seldom buy any new products. But this week I made an exception, so I can join in at last. 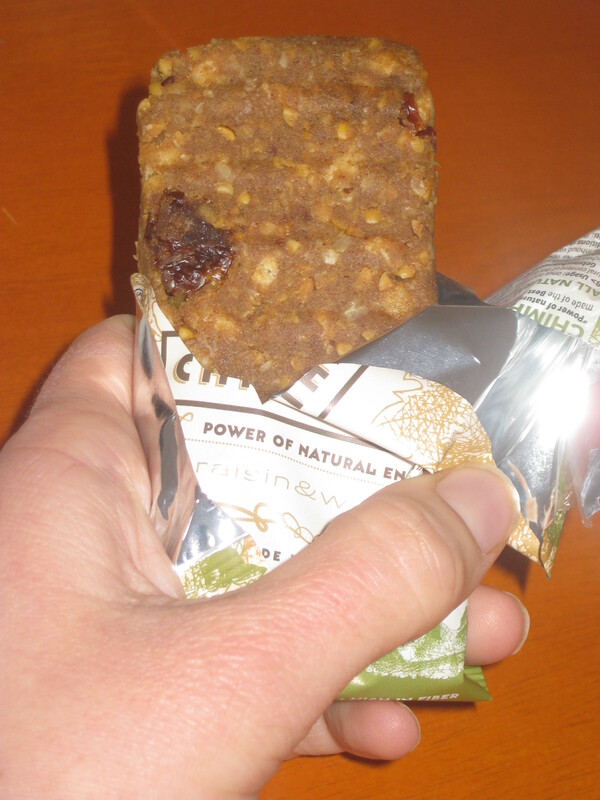 I used to eat a Nakd bar on my break every day in Manchester, but now I make Glo Bars from Oh She Glows as my daily snack, as cheap snack bars are hard to come by here in Prague. 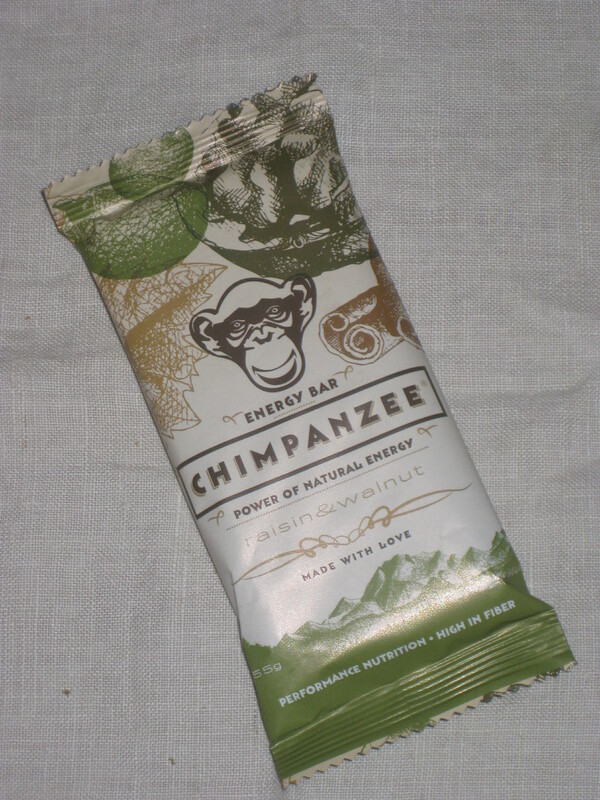 But for a treat, and because I was starving and didn’t have a snack in my bag, I thought I’d try one of these Chimpanzee bars. There are a few flavours, and I think I chose wisely with oat and raisin. It was good and flapjacky, and felt suitably filling. A good purchase. I spotted this Christmas Tea in Vienna in October, and was delighted to see that Puro had started selling it here in Prague. 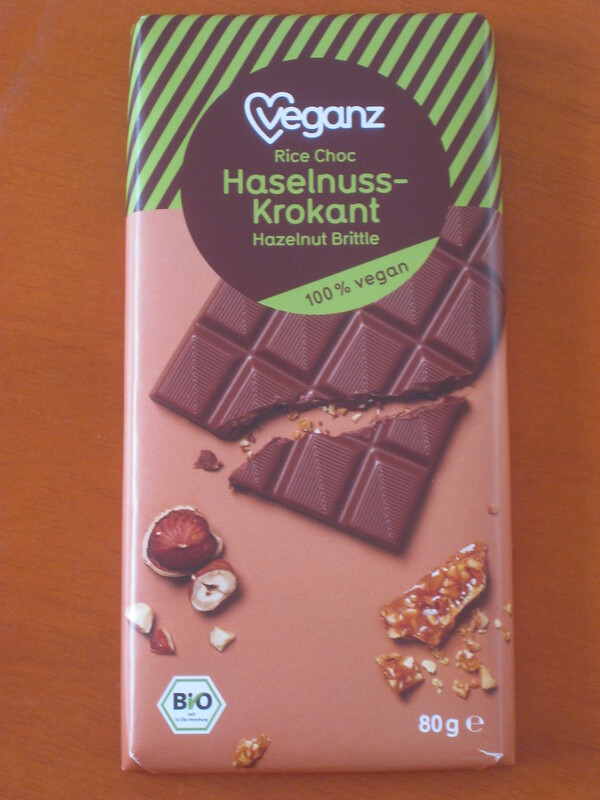 I love Yogi Yea, especially the choco and sweet chilli varieties, so I had high hopes for this. 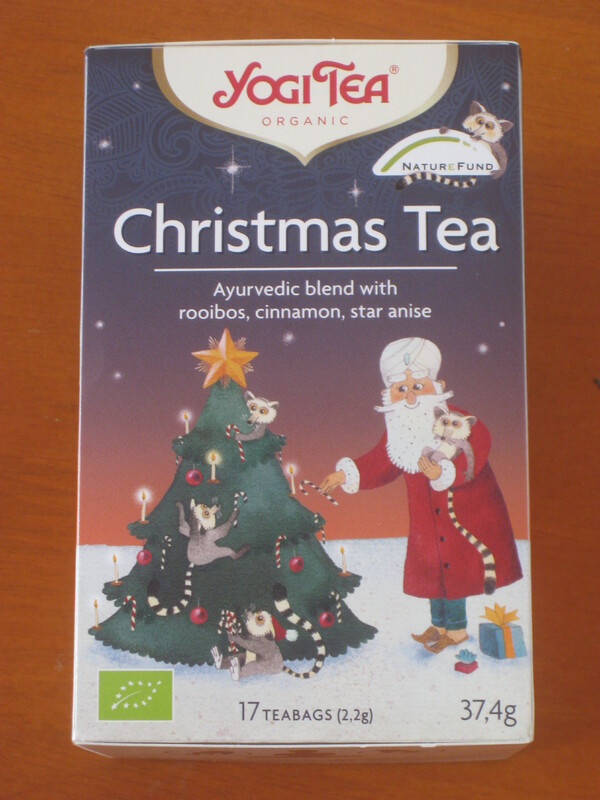 Truthfully, it’s not as Christmassy as I’d like, but it tasted like an ayurvedic rainy day tea I used to have all the time in Manchester, so I love it. Also, it gives me an excuse to talk and think about Christmas, so it’s definitely a winner. 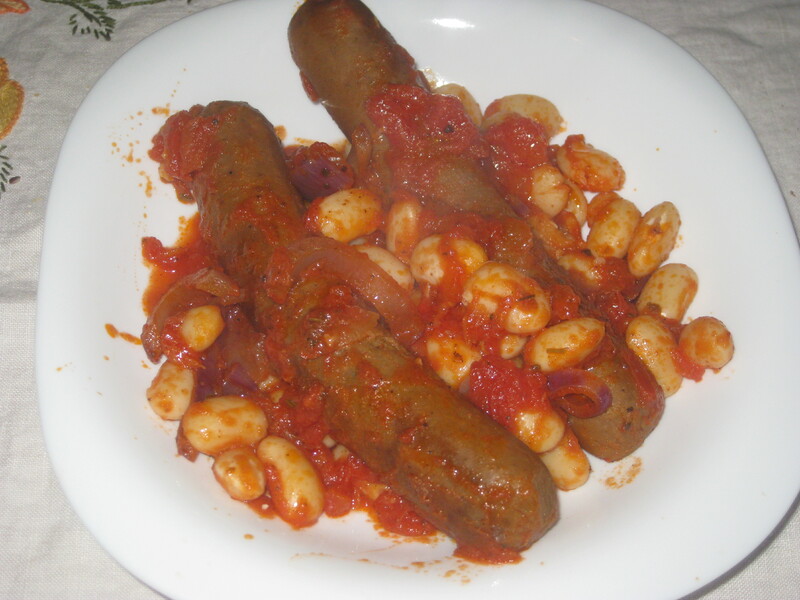 And finally: sausages! Usually I fork out on Field Roast sausages for a treat, but this time I decided to go for the marginally cheaper Tofurky version and made them into a sausage casserole. Nothing will ever be as good as Field Roast, but they were a close second in flavour. And also, they were huge. I’ll definitely get some again. 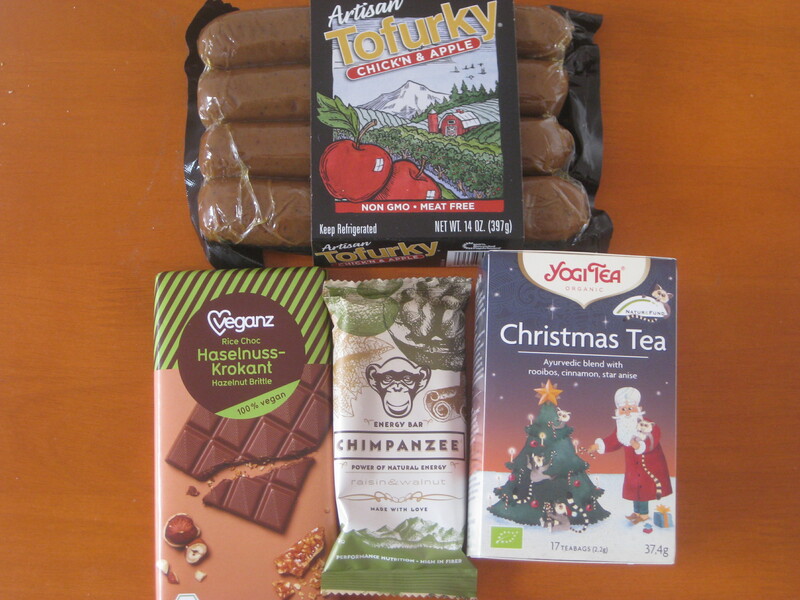 Tofurky isn’t that big in the UK, but my local vegan shop in Prague has quite a few of their products, and it’s nice to be able to see what savoury food the American vegans get. And my conclusion is that they, along with the Europeans, get much better sausages and mock meat than we do in the UK. However, they don’t get vegan black pudding, so perhaps we win after all? 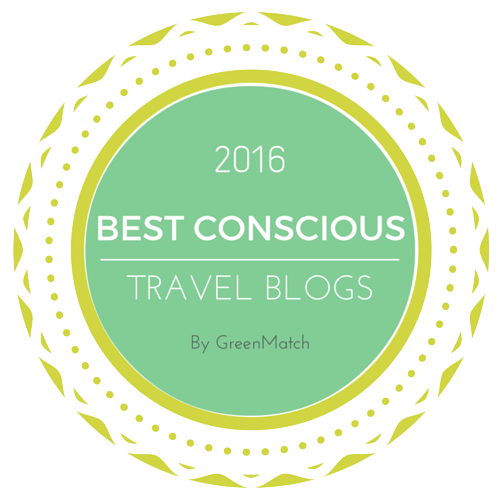 This entry was posted in General and tagged Chimpanzee bars, Christmas tea, Midweek Munchies, Tofurky, vegan mofo off-season community, vegan products, Veganz chocolate. Bookmark the permalink. I’ve not tried that either, actually. I had vegan haggis once in a restaurant in Edinburgh and it was fantastic!